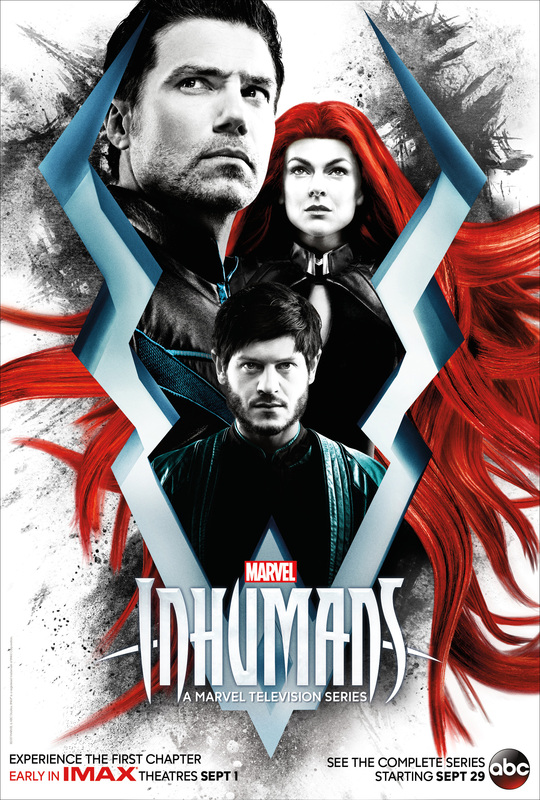 The highly anticipated new Marvel television series Marvel's Inhumans will bring the fan-favorite comic book series and a new kind of family drama to the small screen this fall on ABC. The series premiere, including the first two episodes of Marvel's Inhumans, will air FRIDAY, SEPTEMBER 29 (8:00-10:00 p.m. EDT), on ABC. The legendary comic book series will be brought to life in a way that has never been done before, as a version of the first two episodes will be shown globally in IMAX theatres for a two-week period, beginning September 1, 2017. ABC will then air the entirety of the series throughout this fall on the network, with additional exclusive content that can only been seen on ABC. Get a sneak peek at the Marvel's Inhumans Official Trailer below! Marvel's Inhumans, which joins ABC's Fall 2017 lineup, explores the never-before-told epic adventure of the royal family including Black Bolt, the enigmatic, commanding King of the Inhumans, with a voice so powerful that the slightest whisper can destroy a city. After the Royal Family of Inhumans is splintered by a military coup, they barely escape to Hawaii where they are greeted with surprising interactions with the lush world and humanity around them. Now they must find a way to reunite with each other and return to their home before their way of life is destroyed forever. ABC's Marvel's Inhumans stars Anson Mount as Black Bolt, Iwan Rheon as Maximus, Serinda Swan as Medusa, Eme Ikwuakor as Gorgon, Isabelle Cornish as Crystal, Ken Leung as Karnak, Ellen Woglom as an undisclosed character, Sonya Balmores as Auran and Mike Moh as Triton. Find out about the rest of ABC's new shows coming to your TV screens this Fall!